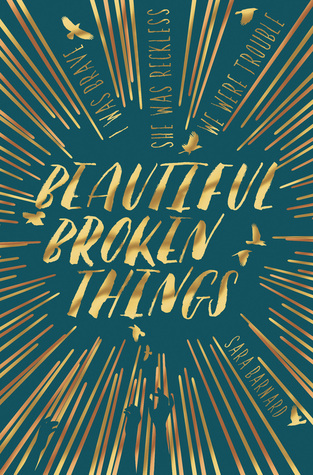 Beautiful Broken Things is another one of those books which has been on my TBR for way too long, but I finally got around to it, having heard many good things and I was by no means disappointed!! It has a beautiful storyline focusing on the importance of strong friendships as well as demonstrating the lengths people will go to for someone who is dear to them. I'll admit that I found the main character Caddy annoying at times and noticed myself yelling at her "Come on!! What are you doing you plonker!!!???" but honestly I think that it was mostly in a good way. I understood where she was coming from and the reason that she made the choices which she did, even if they did make me cross! It's in this way that I think Sara Barnard really captures such realistic and relatable characters which makes this book so special. I can remember, back when I was 16/17, being in the same position as Rosie at some points, watching someone I care about a lot being swept up and making terrible decisions and saying to them "yes but you get that this is silly right?" but knowing they'll most certainly go and do it anyway! One of the things I enjoyed the most about Beautiful Broken Things is that it deals with some really serious issues (I shan't disclose for spoiler reasons but ask me if you want to know them for your own safety etc.) in a way that is completely honest and believable. The emotions and reactions that the characters showed to finding out these things were very realistic, from my experience, and it was refreshing to see responses that were so truthful, because let's be honest people rarely understand and are able to say exactly the right things at the right times in real life! 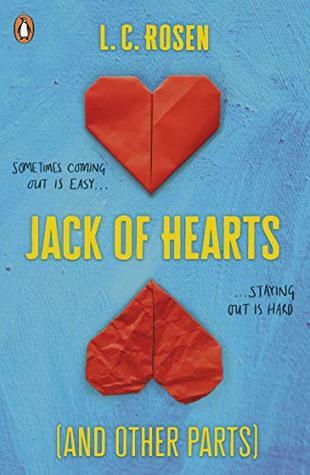 The other thing that I enjoyed about this book is that it isn't all about boys, of course they featured because Caddie is set on getting a boyfriend and losing her virginity - which really frustrated me, I am just so unlike her in this way and there are so many more important things in life!! But the strong friendships between these girls were at the heart of this book and were what made it so enjoyable. There was no real romance, which I know a lot of people appreciate, but for me it was nice to read something where the main character didn't suddenly fall in love and live happily ever after, or spend pages and pages rambling on about how dreamy this boy is (ew no thanks)! Overall I thoroughly enjoyed this book. It's focus on strong females and accurate representations of teenagers making stupid choices was honest and I really loved it. I did have issues purely because I clashed in character with Caddy in some ways, but this is by no means a fault of the book I think it just happens sometimes! I can't wait to read A Quiet Kind of Thunder soon and see what more Sara Barnard has for us in the future. If you haven't already, read Beautiful Broken Things - I'm sure you'll really enjoy it.